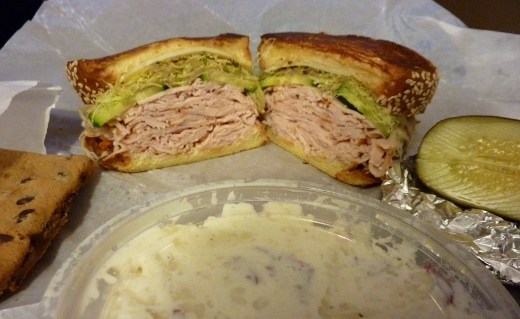 Maize and Blue Deli, Take II. I think this needs to be my new Saturday tradition. Last Saturday, I ordered #27 off the MDB Menu, which was variation of Smoked Turkey on Pumpernickel (and life-changing). 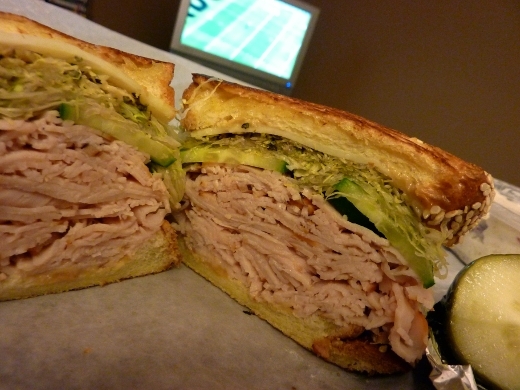 Given how good the Smoked Turkey was last time, I was hesitant to stray, so this Saturday I also ordered a Smoked Turkey sandwich, #73: “Madonna’s Top Hit – Smoked turkey, Canadian Cobat Cheddar, honeycup mustard, lettuce, cucumber, vinegar & oregano on grilled challah.” Amazing. Not quite as good as #27 though, but very close. 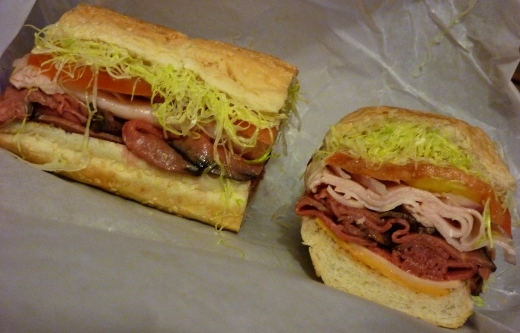 T got a little crazy and ordered a 16-inch sub, #69: “Maize ‘N Blue Special – Roast beef, smoked turkey, cheddar, Jarlsberg cheese, honeycup mustard, lettuce, tomato, onion, mild pepper.” I tried a few bites and loved this. ♪♫ Currently listening to: Pushit – Tool.